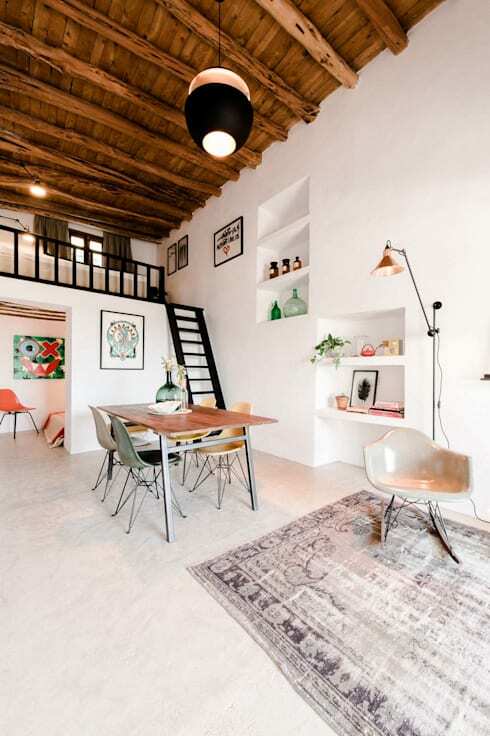 The structure is just 90sqm, but it has a high roof that's perfect for a mezzanine or second level. The interior needed to be totally gutted, but the designers have sought to maintain as much of the original rustic features as possible. 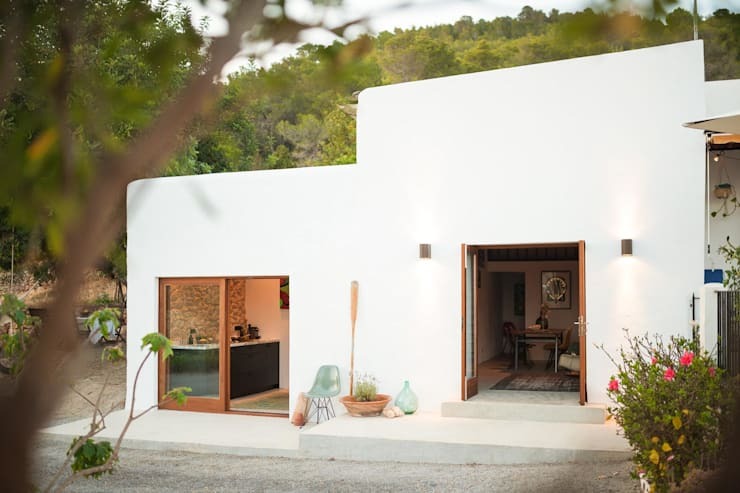 The exterior has a classic, simple white-washed facade and a simple aesthetic that's perfect for the relaxed, beachside culture of the island. One of the most beautiful features of the original building was the old rustic roof. 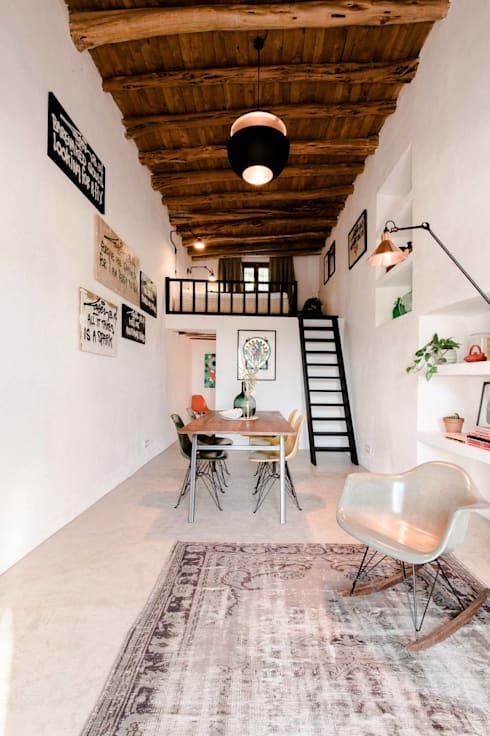 It has been restored and the exposed ceiling beams give the interior a priceless authentic feel. Like many old Mediterranean buildings, this building had quite dark interiors. The designers have sought to open it up by designing the main living and sleeping area as one big space. We love the mezzanine and the bright, energetic splashes of colour. From this angle we get a good sense of how beautifully the height of the room has been used. It is a relatively small space so the height is incredibly important in the decor. 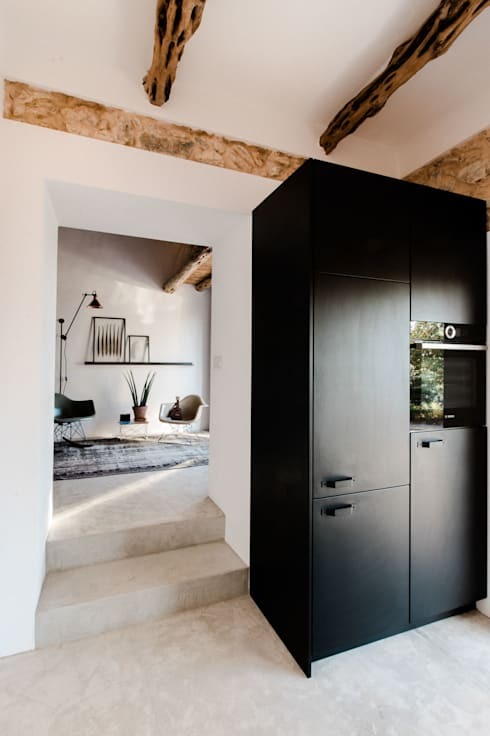 The strong visual elements on the upper half of the room draw attention to the height, make the room feel big and give the design some much needed balance. 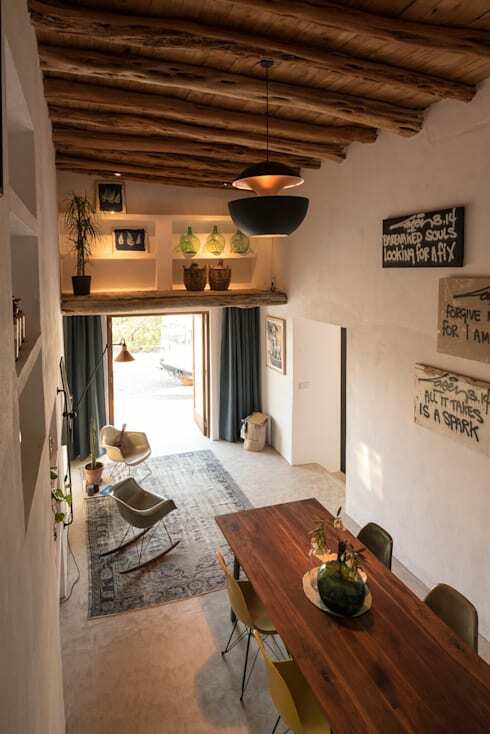 Also, note the rustic style furnishings and the small second mezzanine level over the doorway. These old Mediterranean buildings often have the most beautiful old stone walls. 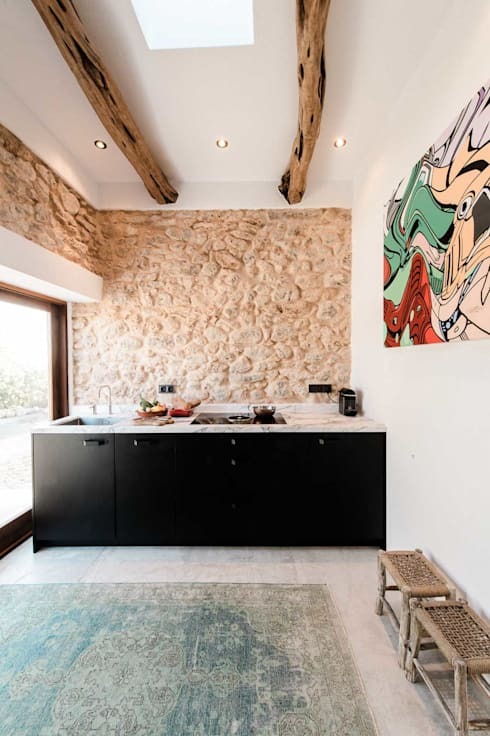 They can make a small space feel a little dark and cave-like however, so it's refreshing to see the juxtaposition of the smooth old stone against the fresh white walls of the simple kitchen. The skylight we see here it also another new addition that allows a lot of light to penetrate the interior. 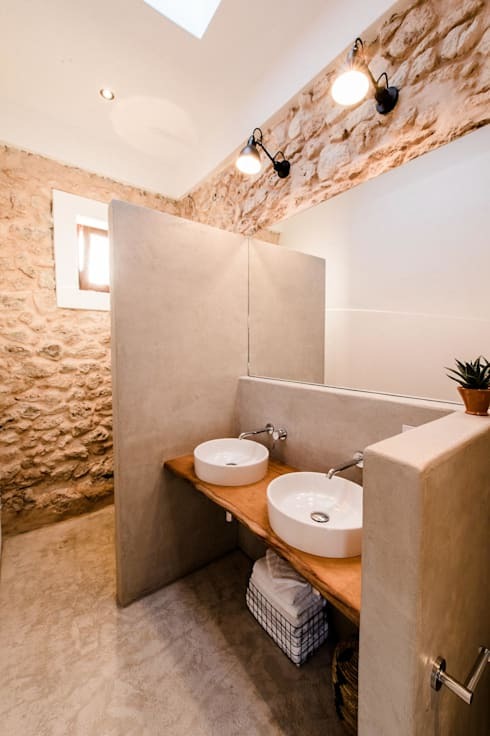 The bathroom has a good mixture of modern lines and a rustic old world style. The two very different styles work well together because the materials are rustic and neutral. Concrete walls, floor and a wooden bench tie it all together. Finally, note how the large mirror adds to the bright and modern feel to the room. We have lots more photos, so keep scrolling or check out 21 fresh ways to add plants to your home. What's your favourite feature in this special home?